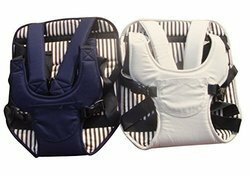 We offered Baby Stylish Car Safety Seat are available in various of specification and varieties, customers can avail this product from us at very reasonable rates. We are engaged in manufacturing and exporting a superior quality range of Baby Seats. These seats are designed to ensure maximum safety for infants by refraining their movement, without causing any inconvenience to them. - Ventilation in harmony with the baby. - Pressure support ventilation – the standard for neonates. - Easy operation, ergonomic design. Aprameya Engineering (I) Pvt. Ltd. Being a quality conscious entity, we are highly involved in making obtainable high-quality array of Baby Car Seat. 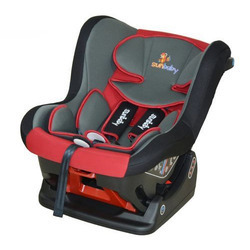 Specifications:Brand Name: Client SpecificMaterial: Plastic and VelvetColor: Red and BlueSize: 230 X 200mmApplication/Uses: For Child SafetyType: Front SeatAdjustable: Yes. Being a well-distinguished company in the market, we are engaged in offering Fancy Baby Car Seat. 2 point harness with adjustable belts. For Ages- 6m upto 2yrs. Baby seat learning sitting for 3-6 month child.